Today Storage Giant is helping you use EBay to de-clutter your house and make some money at the same time! When tidying the house, everybody has come to a point where they consider just putting everything on EBay and being done with it. And sometimes we even follow through with this thought and put a few pairs of unwanted shoes or some abandoned children’s toys online, but usually the idea of making money from our old stuff is a bit of a fantasy. A lot of the time it’s because people think EBay is a bit of a hassle and it doesn’t seem worth the effort, but if you’re willing to put some time into it then it can be really worth your while. With a global customer base of over 233 million, EBay really is somewhere that you can sell almost anything. In a place where people are willing to buy ‘voodoo spells’ and Barack Obama toilet paper, your old stuff is actually quite marketable. Often the first time seller’s downfall is not planning properly and then feeling overwhelmed, but a few simple steps will help you to enjoy the experience. 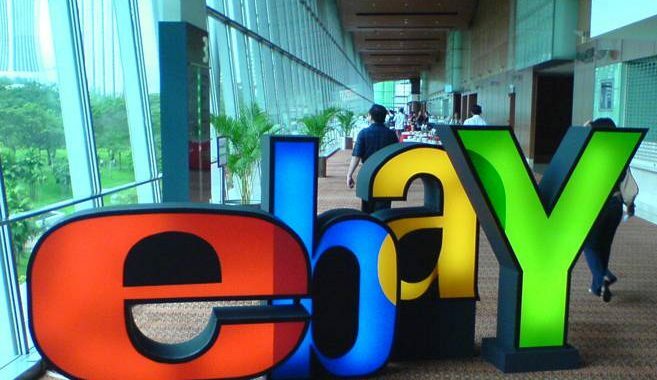 Below are a few tips for first time sellers that will help you navigate EBay. 1. Sort out everything that you want to sell and then go through EBay and find out how much each item is going for, as this will give you a good idea of what kind of price you should be aiming for. Remember, EBay take 10% of the final sale, so account for that when you decide on your price. 2. Weigh and measure the size of each item you are selling, and then work out how much the postage is going to be (make sure you leave a good leeway for wrapping). Although this may be time consuming, you don’t want the cost of posting it to end up being more than you make from the actual sale. 3. Go out and buy all the wrapping materials you will need, especially bubblewrap, and consider pre-wrapping your items so they are ready to post. We have everything you could possibly need for packaging your items in the Storage Giant shop, which you can find at our Cardiff, Swansea and Newport branches. 4. Don’t be tempted to put everything on at once, see how things go before you list all the items. If you find that selling your own items on EBay has been a breeze then perhaps consider taking it to the next level and purposefully going out to look for things to sell. On average a Premium EBay seller makes about £15,000 a month, so it can be a very lucrative business! If you do decide to pursue a career on EBay then the first thing to do is find your niche. This can be anything from designer shoes to antique tea sets, but it needs to be something that you are interested in so the time spent wandering around car boot sales and flea markets is actually enjoyable! One important thing to remember is that you do not want to have all of your purchases cluttering up your house, so consider taking out a storage locker at Storage Giant to store all of your goods. We have storage containers for as little as £5 per week, and if you pay for 8 weeks in advance then you get 4 weeks storage completely free!